This costume includes zip up catsuit with badge detail, attached multi strap faux vest with corset cincher back, pocket arm strap, utility garters with toy walkie talkie, belt and matching hat. Please take note that the gloves are not included. Upload your photos to Instagram with the hashtag #funidelia followed by #funidelia43498-0. 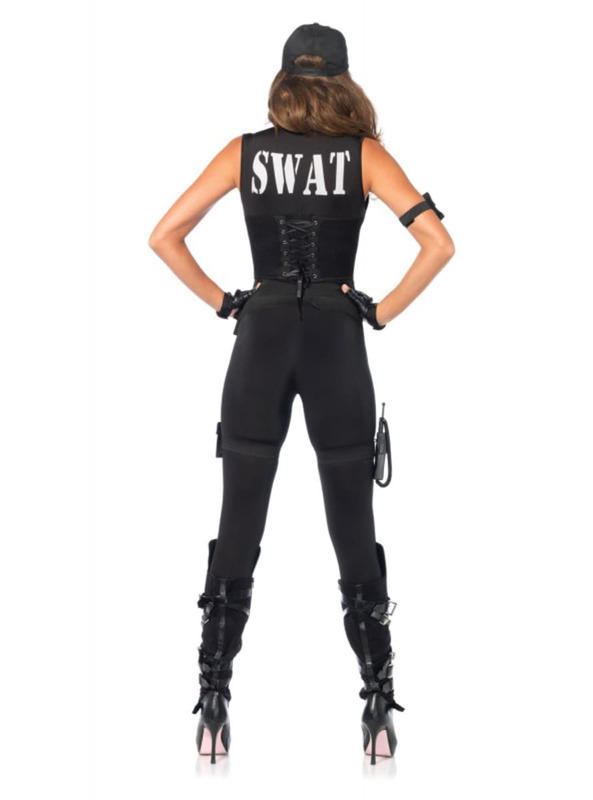 Product Rating: "Woman's SWAT Commander Costume"